Graphic novels that focus on the medieval period are getting more and more popular – and works like Templar are a good reason why. Set during the downfall of the Templar Order in 1307, it is a historical adventure story that combines action, humour and romance with some royal politics and a mysterious treasure. The novel focuses on Martin of Troyes, who became a Templar when we was spurned by the love of his life, Isabelle. He is now back in Paris after years of fighting overseas, and she happens to be there too, unhappily married. Will romance be rekindled? While one can quibble with historical accuracy here and there, the writer and illustrators didn’t intend to write a history book – rather it is more of an action-adventure tale that makes good use of historical events. Mechner’s research included books by historians such as Malcolm Barber and Helen Nicholson, and he has managed to avoid incorporating any of the crazier myths about the Templars to help construct his tale. 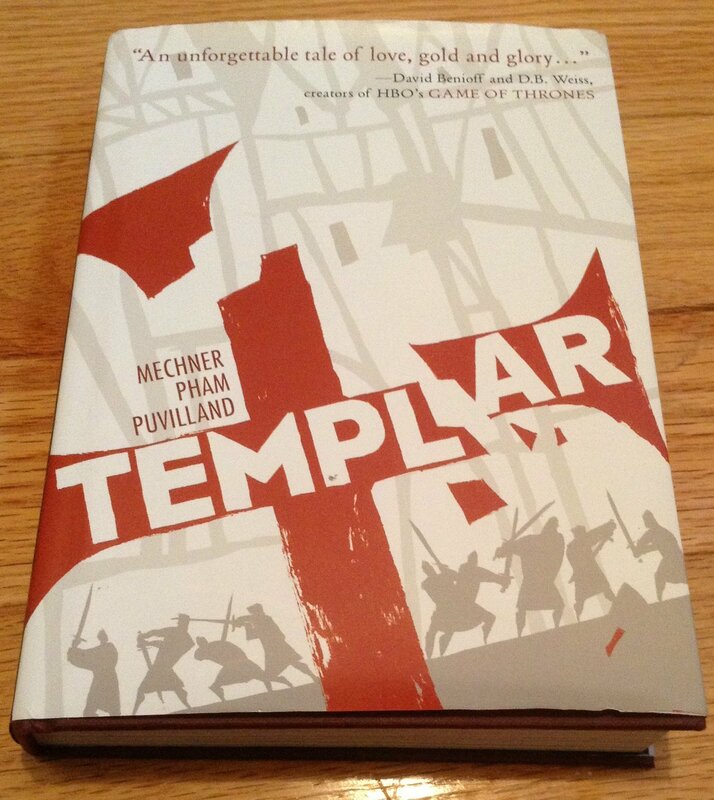 While Templar is 473 pages long (divided into three books) one can read it fairly quickly. Some of the scenes, such as the burning of convicted Templars, are powerfully done. The illustrating team of Pham and Puvilland are able to convey a lot of action and emotion in their work. The Making of Templar – you can download a free ebook where the author and illustrators write about how the developed the story and characters, and how they were able to collaborate on such a large project. This is very useful for those interested in creating a graphic novel.